Also in 2019 we are once again organizing exclusive track days for our customers and prospective customers with our partner Laptime. 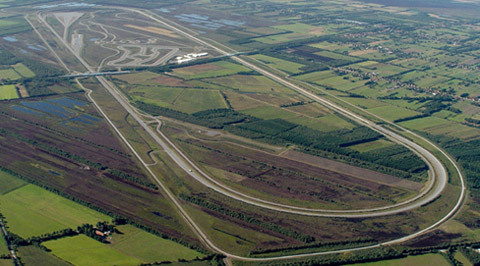 They take place on the cordoned-off, European‘s largest automotive proving grounds in 26871 Papenburg, Germany. The handling course is open all day from 10:00 until 17:30 (5:30 p.m.) for your enjoyment. 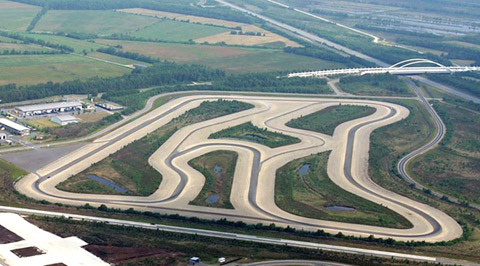 This is a replica of the small Hockenheim circuit with a length of 2.6 km. Divided into two or three groups with maximum 20 cars, 30 minutes sessions will be driven in rotation. This means at least 5 sessions of 30 minutes and a total track time of at least 2,5 hours. During a session the driver can leave and rejoin again the track at the discretion of the driver (or maybe co-driver). In small groups of maximum 20 vehicles there is ample space on the 2,6 kilometer long and 10 metre wide track for each participant! 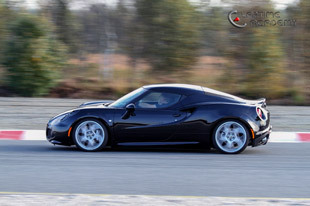 The target group of our track days are drivers who want to experience their car on a race track, and/or just to have fun driving their car on the race track. No experience with trackdays is necessary, but in the racing car group & not approved vehicles, we expect a bit of experience from you. With our track days it's all about the fun and learning about the vehicle. There are no times taken and there is nothing to win! For this reason, drivers who drive aggressively and thereby jeopardizing themselves and others will be taken off the track immediately. We make no exceptions and the rules are enforced rigorously. Our track days are no race days and the security of all participants have our strict priority. A lap timer may be used by yourself. However, Harry's Laptimer and similar smartphone apps are not possible because smartphones are not allowed on the premises due to the camera function. A self-contained 10 Hz GPS lap timer can be optionally borrowed from us (subject to availability) for a few laps. 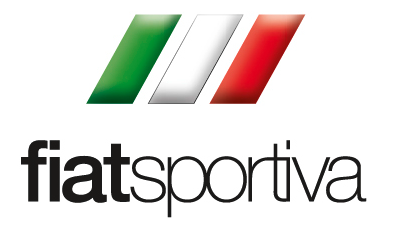 Our customers receive the day ticket at the special price of only 280,- Euro* per car. A day ticket for a driver, co-driver or spectator is 25,- Euro* each for a lunch menu with a drink in the restaurant and free soft drinks all day long at the track (this ticket is mandatory for each person). Examples: One car and one driver is 305,- Euro* - One car with driver and co-driver is 330,- Euro*. A car can be driven by any number of drivers, we do not charge extra for this option. This offer is valid only for our customers and prospective customers with an Alfa Romeo, Abarth or Fiat, as well as for our customers with a Ferrari, Lamborghini or Maserati. Other car brands are also welcome, for them there is a surcharge of 30,- Euro per car. 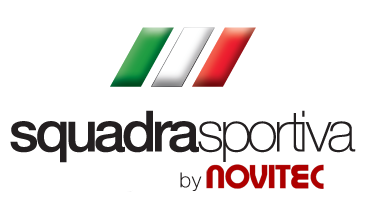 We offer the free chance to test some of our products in the Squadra Sportiva cars on the track. You can also test the Novitec Powerjet, Powerrail and GP1 in your own car on the track. A prior appointment is necessary for this option. 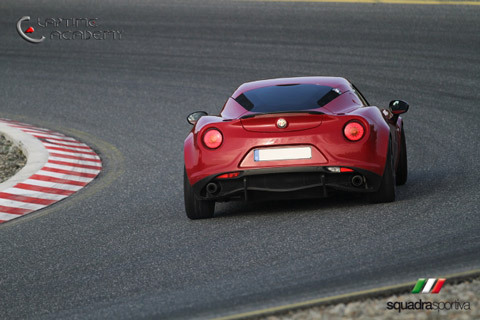 Alfa 4C owners are able to test drive one of our 4C with full track day setup and 324 bhp / 450 N m mapping. If a car floor (race) jack, impact wrench or any tools are needed, we provide them at no charge (by prior arrangement please). On the ATP premises a leveling surface, individual wheel scales (for corner weights) and a car wash are available for free use. 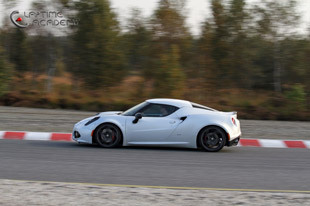 Fee-based racing Taxi rides with an Alfa 4C are possible. 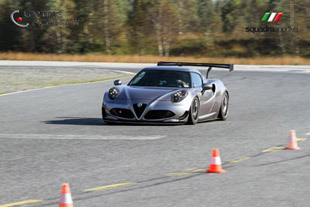 The racing driver Alexander Krebs has completed well over 2800 laps on the handling course with the 4C and experience in the RCN, VLN, the 24-hour race at the Nürburgring (2010) and is a winner of the international Lamera Cup. Up until 08:45 > Arrivals / until 08:15 for participants arriving with trailer! 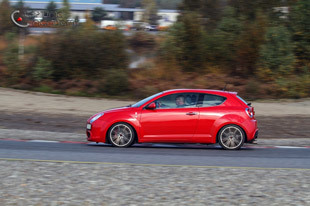 10:00 to 17:30 > Exclusive use of the handling course "small Hockenheim" (HAK) in the form of driving training, test drives and free driving on the handling course with a length of 2.6 km. 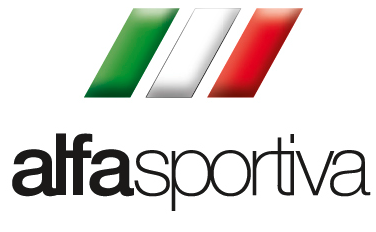 The participation fee of 25,- Euro* per person includes a lunch (daily menu), with a drink in the cafeteria of ATP and soft drinks at the track all day long. 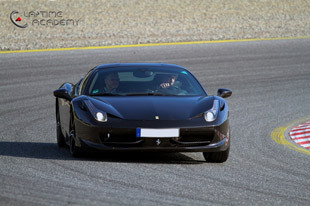 The fee of 274,- Euro* per car includes the use of the HAK track from 10:00 to 17:30 for at least 5x30 minutes sessions. The complete proving grounds are sealed off to the public, all spectators or passangerss will have to be registered. Access is only possible by prior arrangement! The minimum age for all persons is 16 years old! On the whole compound there is an alcohol and drugs ban. There are no cameras or camrecorders allowed on the compound, your mobile phone (with camera function) must also be given in at the gate (security service)! For drivers of cars with airbags, no helmet is required. This only applies to cars fitted with roll bars / -cages or cars without airbags. 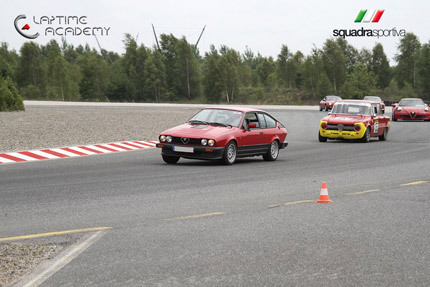 The track day for street legal vehicles takes place for the purpose of improving one's driving skills and sporty driving activities, and to shift these activities from the road to a suitable and safe enviroment. The choice of route is carried out solely from a security standpoint. It is important to avoid oncoming traffic, animals and people on/near the road, trees as well as any other immediate danger to your health. As part of the training no lap times and placings are determined. Furthermore, the attainment of speed and shortest driving times are not stated as a training objective. This is assured by the participants in detail. We can assure you that cars without number plates or racing cars will drive in a separate group. Many insurance companies cover damage possibly occurring in these conditions, but each participant is responsible to clarify this with their insurance company in detail. We will gladly provide on request a PDF flyer for the insurance company. Registration for a track day is via the registration form. 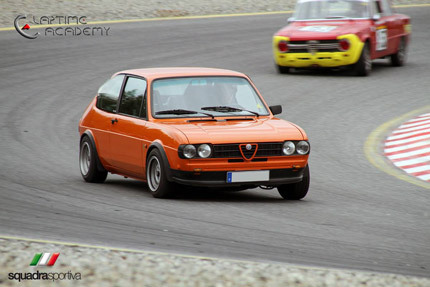 The registration deadline is 14 days before the respective track day. Since only limited places available, an early registration is recommended. A separate application is required for each date and vehicle. For motorhomes there usually enough space on the parking lot in front of the factory gate, very long trailers might make it a bit cramped. Hotels and Hostels are plentiful in Papenburg and the surrounding area, there is something for everyone. Also popular are, for example the Kedi, Engeln and Park Inn by Radisson. Those who want to plan a long weekend, can also visit the official Tourism Website Papenburg. The special highlight in Papenburg is the Meyer Werft (shipyard for large cruise liner). The shipyard can be visited daily at 10:30 and 14:30. Petrol on the area is expensive, an alternative is a Avia petrol station nearby (2,9 km), 98 octane RON (SuperPlus) is also available there: GoogleMaps-Travel Information.